If you love doodling, pasting down pictures, using real-life references, like petals and fabrics, using a blank journal is the perfect start for you to create your wedding planner. 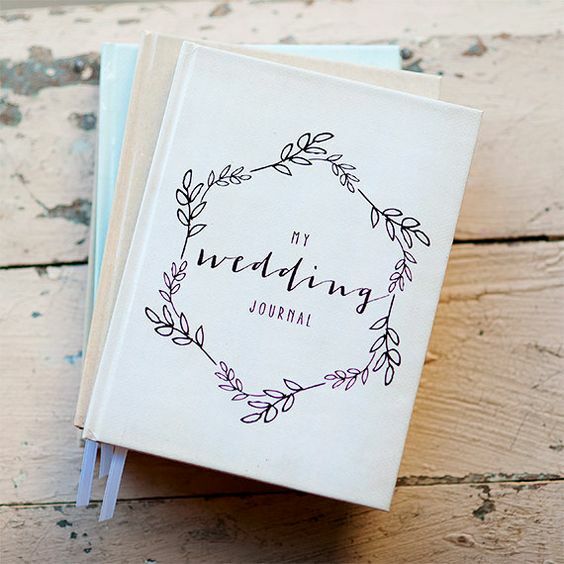 You can create your own headings, lists, style references, and more to suit your creativity and make a wedding journal that is worth saving as a fond memory. 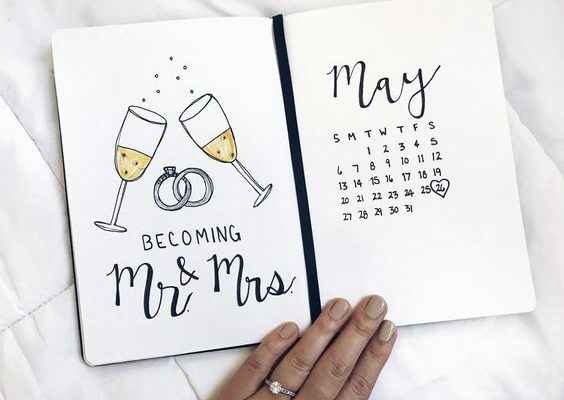 For someone who prefers neater, more organised and structured methods of planning, creating a wedding journal with matching fonts, colours and headings is definitely the best option. 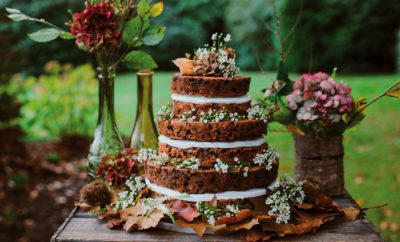 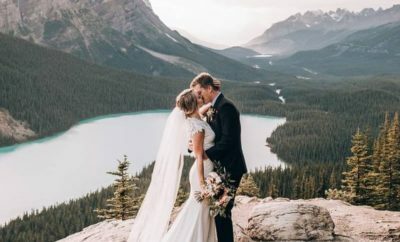 Nowadays, you can purchase digital wedding journals to download and put together yourself – still giving you the freedom to choose your base and play around with styles you prefer. 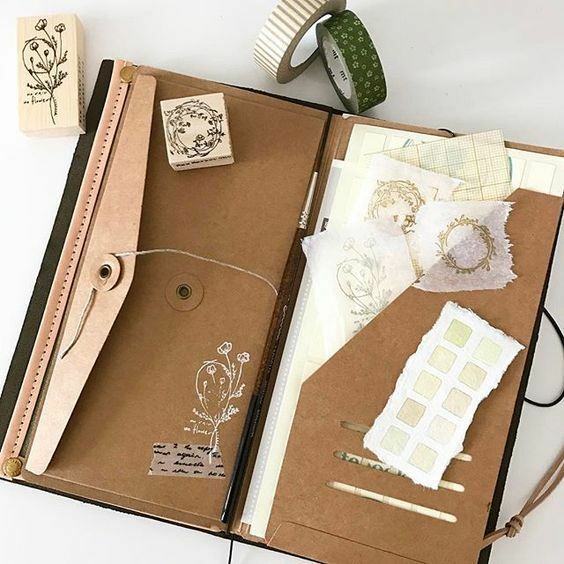 If all you’ve got are some pens and a notebook, but loads of creative talent, you can design a beautiful and personal wedding journal filled with doodles, lists, contact details, ideas and everything you want to put down to plan your big day.